Before and after photos and video testimonials from patients who have chosen the QuickLift Facelift procedure can be viewed at www.quickliftmd.com. To schedule a consultation with Dr. Hoyt or for more information, call 1-800-321-LIFT. Dr. James Hoyt is board certified by the American Board of Plastic Surgery and is a member of the American Society of Plastic Surgeons. The Yakima, Washington (WA) plastic surgeon received his undergraduate degree in Pharmacology from the University of California, Santa Barbara and went on to earn his master’s degree in Biochemistry from the University of San Francisco, and his medical degree from Loyola University Stritch School of Medicine. He completed his general surgery residency at Loyola University and his plastic surgery residency at the University of South Florida. Since 1996, Dr. Hoyt has maintained a successful private practice, first in Modesto, California and now serving Yakima, Washington and surrounding areas. 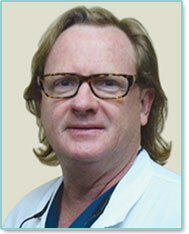 Dr. Hoyt believes in investing time in building a trusting doctor-patient relationship. His goal is to help patients have a realistic view of what can be achieved through the latest plastic surgery techniques and procedures. He truly believes that beauty is within; he just adds the finishing touches. His commitment to International Medical Mission trips has taken Dr. Hoyt to locations in Mexico, Cambodia, Guatemala, Ethiopia and Honduras just to name a few. In his free time, Dr. Hoyt enjoys spending time with his wife and two daughters. He is also an avid pilot and amateur golfer. The QuickLift®, developed by Dominic Brandy, MD and performed by doctors across the country who have been personally trained by him, is an improved version of the S-Lift. Unlike procedures with similar names that tighten only skin, the QuickLift permanently suspends the underlying structures of the lower face (SMAS). The QuickLift provides and overall lower- to mid- facelift and improves the appearance of the upper neck, offering significant age-diminishing effects with minimal downtime and lasting results. For more information, visit www.quickliftmd.com.